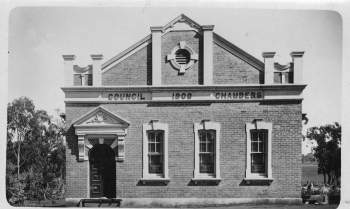 Guyra History - Guyra Chamber - Guyra welcomes you, Accommodation, Restaurants, Events, Business Directory, Community Directory. The Guyra area was settled in 1828 when several settlers took up land at Ollera, Wandsworth, Tenterden, Moredun, Guyra, Llangothlin, Falconer, Clerkness, Oban and Aberfoyle. Most of the pioneering employees on properties were immigrants from England. In 1835, Alexander Campbell took up the magnificent “Guyra Station”, which encompassed the land of the later township; and in 1838, George and John Everett established “Ollera” which still exists under this name today and has an historic cemetery you can visit. The legendary Captain Thunderbolt found few spoils in the Guyra area, although he did hold up a house at Sandy Creek and a store at Ollera. One of his hideouts, Thunderbolt’s Cave, can be found just off the New England Highway at the top of “The Pinch” (see Tourism section). The advent of the railway in 1884 brought development to the area and on March 20, 1885 the village of Guyra was proclaimed. 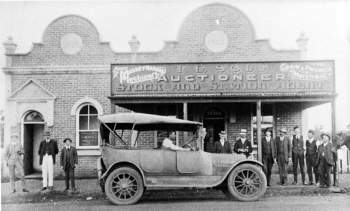 By 1890, Guyra had postal, telegraph, money order and savings bank facilities, a railway station, three hotels, a public school, three churches, police station and a sawmill. Coaches were running to Ollera, Wandsworth, Kangaroo Camp and Tingha. The Shire of Guyra was proclaimed on March 7, 1906. In the late 1800's and early 1900's, the region boasted an extensive mining industry centred around gold and tin; there was even a diamond mine on the lagoon. Most of the mines were situated on the eastern side of Guyra towards Backwater, Wards Mistake and Kookabookra. To the west of Guyra, tin was discovered at Tingha and Elsmore. Tingha was founded in 1872 and in the 1870's, thousands of people flocked to the Tingha tin fields. 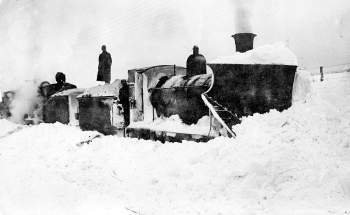 At the height of the rush it was reported that 6,000 to 7,000 people lived in the area. Guyra is probably most famous as the home of the Guyra Ghost which made national news in April 1921. The mystery of who, or what, haunted a local residence remains unsolved. In February 1960, Guyra was once again in the National spotlight as a four day search took place to find a four year old boy lost in the bush. A song penned by Johnny Ashcroft ensured the story of the “Little Boy Lost” has lived on. Also making headlines were two F-111’s that crashed near Guyra - the first in 1977 and another in 1993. A media frenzy was sparked in December 1999 when a “UFO’ landed in the local water supply dam – national and international coverage of the story was intense, however a suspected meteor was never recovered. The Guyra area has an indigenous heritage with a number of significant sites scattered around the area. 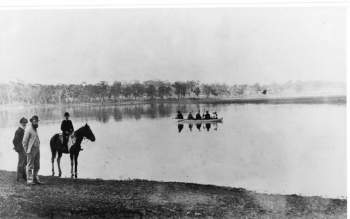 Having a large freshwater lake (the Mother of Ducks Lagoon) the Guyra area was a meeting place for tribes travelling here from the east and west. Aboriginal people have lived in the area, used the resources and managed the environment for thousands of years. The evidence can be found throughout the area. Several rock art sites depicting animals and tools and axe grinding groove sites where stone axes were sharpened are found in the area. The last ceremonial activity was at Black Mountain in the 1880's at a site containing trees carved with ceremonial patterns, a bora ring and stone arrangements.